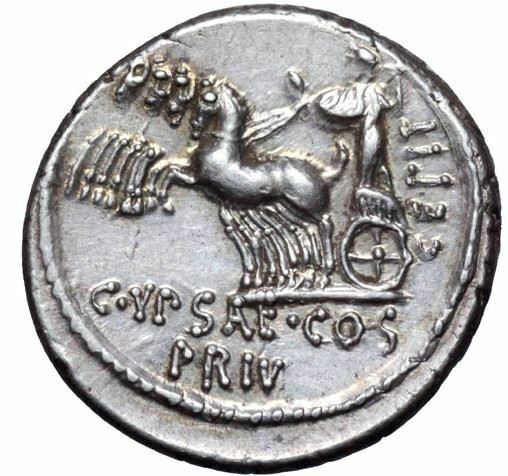 Publius Plautius Hypsaeus was one of the moneyers for the year 60 BC. As Praetor and an ally of Pompey, Hypsaeus was later tried under Pompey's retroactive laws on violence and corruption (52 BC) for bribery. In 53 BC he was a candidate for the consular position, against Milo. Hypsaeus' gangs were reinforced by Clodius and fights broke out between the competing parties. Gens Plautia, sometimes written Plotia, was a plebeian family at ancient Rome. Members of this gens first appear in history in the middle of the fourth century BC, when Gaius Plautius Proculus obtained the consulship soon after that magistracy was opened to the plebeian order by the lex Licinia Sextia.